Now that we’re well into October I wish I had brought this up sooner! The leaves are in full change coming down faster and faster each day, the rains are predicted for days, the dark is coming earlier each day, yet our work in the garden still goes on. For vegetable and flower beds it’s important to begin the prep early for next year. Pull up all annuals that have died back, cut back your perennials, deadhead where needed, remove all fallen leaves, dead plant material, cuttings, twigs, and any weeds to use for compost or mulch. Too many leaves and debris can retain water which could lead to root rot in your perennials and may also attract pests. Separate and remove any diseased or infested plant matter from the rest of your pile and dispose of as trash. Don’t forget to clear debris from the base of your Roses, fallen rose foliage can give diseases a safe place to vacation overwinter and may create health problems for your lovely Roses beds next year. Soil can also be worked up this fall with compost and covered with mulch so it will be ready to plant as early as possible in the late winter and spring. If your soil is hard and compacted or you just need to supplement your existing topsoil, cover your garden with a layer of compost and turn the earth over. 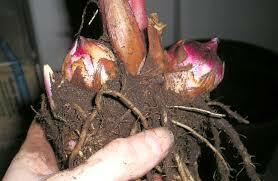 This will add nutrients back into the ground and improve the texture and health of the soil. It's not too late for a new look, that’s right landscaping! Fall is absolutely the best time of year to plant any tree and /or shrub. The soil is still warm enough for roots to actively grow and yet the demand for foliage growth is slowing. Trees and shrubs planted now have months to develop a healthy root system before the dry killer heat of next summer descends upon us all. 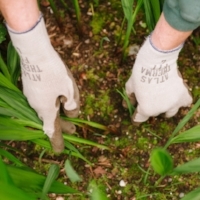 This is also a good time to dig up and divide overgrown portions of Herbaceous Perennials that may have done so well and relocate to a new home in your garden. You can also plant new perennial seeds for next Spring/Summer while the soil is still warm. I know this will sound silly being Fall in the Pacific Northwest but be sure to keep your new plants and seeds watered because the drying winds of the cooler weather can quickly dehydrate plants. When we’re in a stretch of dry Fall days check the soil moisture often, and water when needed. For new plantings, provide water once a week in the absence of rain. For flowering gardens plant those bulbs, late October/early November is the best time for planting bulbs such as Tulips, Daffodils, Crocus, Irises, and Hyacinths which are all spring blooming and a welcome touch of color after the long grey seasons. At the same time, you can pull up your Dahlia, Cannas, and Begonia tubers in your garden to store indoors during the winter. The best time to dig them up is usually after the first frost. Lastly, let us not forget about the lawns. The grass will now be growing slower but will still need to be kept cut low for optimal health. 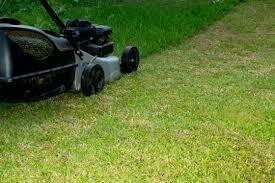 In the Pacific Northwest now is the time you should do a mow, aerate, over-seed, and do a round of fertilization. Choose a good slow release fertilizer one which is developed specifically for our climate, you can find applications that are organic and will not harm pets, children, or wildlife. If there is no rain in the forecast you will need to be sure to keep the lawn watered for at least two weeks and try to keep fallen leaves off your lawn until seeds have a chance to germinate. There’s still more work to do in the garden and lawn later in the season to prepare for the Winter season. If this all seems a little more than you can achieve on your own please don’t hesitate to contact Kaleidoscope Inc. for help we’re here for you and your garden. Until next time, stay dry stay warm, and enjoy your gardens changing seasonal color.